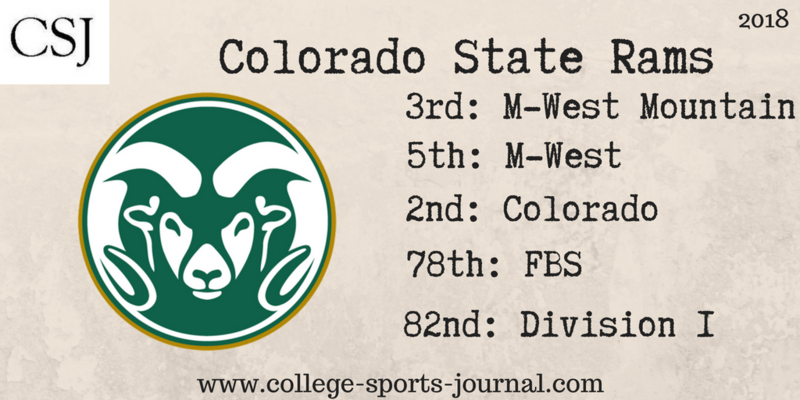 2017 In A Sentence: CSU went 7-6 for the third straight year under Coach Bobo in what has to be considered a disappointing season especially since the veteran team lost four of its last five contests include a New Mexico Bowl game to Marshall. Biggest Shoes to Fill: WR Michael Gallup was a consensus All-American and a finalist for the Biletnikoff Award after racking up a school-record 100 catches for 1,413 yards and seven touchdowns last season. He had a pair of 200-yard outings, including a legendary performance at home against Nevada where he hauled in 13 passes for 263 yards and three scores. He was selected in the third round of the NFL Draft by the Dallas Cowboys. Key Player: QB K.J. Carta-Samuels, who is a graduate transfer from Washington, will look to replace the graduated Nick Stevens. He hopes to continue the streak of the Rams offense being ranked among the nation’s top 30 the past two seasons and four times in the past five years. He completed 27-of-47 passes for 310 yards and three touchdowns in 25 career appearances over three seasons with the Huskies. Fearless Prediction: Coach Bobo has recruited well (at least on paper) and now his recruits will be playing in many positions. The talent is there but there is little experience on this team. If the talent can gel, this team will again be in the hunt in the MWC Mountain Division but expectations are similar to the past seasons to just get to a bowl game.